Bone Grafting for Dental Implants - What Are My Options? Sarasota Dentistry » Blog » Bone Grafting: What Do I Do If I Don’t Have Enough Bone For A Dental Implant? A dental implant via a bone graft is one of the most common solutions for filling a space caused by a missing tooth. However, one small issue can come up that can put a wrinkle in the whole procedure: whether or not you have enough bone. Many dental surgeons recommend getting a dental implant immediately after you lose a tooth (although within the next six months is also acceptable) in order to prevent bone loss. Bone loss can complicate the dental implant process, and depending on the severity of it will require a bone graft. 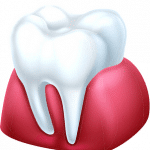 What Causes Dental Bone Loss? How do I know if I have enough bone for a dental implant? “What do I do if I don’t have enough bone for a dental implant?” is a common question for those concerned for their smiles. Luckily, several solutions are available to you that Dr. Hank Michael and Sarasota Dentistry can offer you to put your mind at ease and restore your smile. We’re going to explain the reasons for why bone loss occurs as well as present the bone grafting options that are available to you if you do not currently have enough bone for a dental implant. When you lose a tooth to gum disease, cavities, injury, or any other reason, the bone in the now-empty area will begin to erode. Your body will begin to reabsorb bone cells in a process known as resorption, which leads to bone loss only in the area with the missing tooth (the bone in the rest of your jaw will stay intact). This bone loss becomes problematic for a dental implant, as there may not be enough bone to set the implant. With a dental implant, your body perceives that the root of a tooth is now present, and will halt the resorption process that leads to bone loss. From this, you can see that getting dental implants soon after losing a tooth is incredibly important to avoid bone loss and streamline the implant procedure. So, what can you do? What are the possible solutions if you have bone loss and want dental implants? As stated before, a bone graft is commonly performed prior to receiving a dental implant in cases where patients lack sufficient bone to create suitable scaffolding for the implants. Simply put, a bone graft is “adding” or “grafting” bone into the existing bone of your jaw area to create said scaffolding and, in some cases, provide bone reformation. Depending on a number of factors, including the amount of bone loss that has occurred, your personal preferences, and your unique situation, Sarasota Dentistry may employ one of four different types of bone grafts to aid in the dental implant process. The first option available to you is a bone graft using bone from your own body, also called an autogenous bone graft or autograft. We believe autografts to be the best source of bone for a bone graft, as it is using living tissue from the same body with the cells intact. These cells are able to transform into bone-forming cells, which helps restore and heal the area. Typically, we use bone from the chin (called the “ramus”) or from the back parts of the jaw for autogenous bone grafts. These are nonessential, secondary sites that are able to provide the bone used for bone grafts that make up bone loss. One important consideration to this first option is that an autograft requires invasive surgery. This can create a more complicated procedure, which may not be ideal. For a type of bone graft that does not require surgically removing bone from secondary sites, we present another option. Using an allograft, which is a bone graft using donated human bone from a different source other than yourself, is another option available to you if you do not have enough bone. Allograft bone is processed in several ways. At Sarasota Dentistry, we use bone allograft that has been demineralized and freeze-dried, which has allowed the material to retain its cell-forming properties while remaining free of disease transmissions (our sources have been free of disease transmissions for over thirty years). Like autografts, allografts stimulate the cells to allow bone formation and wound healing. The key differences between the two are that an allograft does not require as much surgery and therefore the recovery time can be quicker. Still, you may have reservations for using allograft bone for your dental implants. If you do not like the idea of using human bone that is donated and is not from your own body for your bone graft, there are a couple more options that you can consider. Bone grafts are possible using bone from non-human sources. These are called xenografts, and they use the bone, typically from cows, to fill in gaps created from bone loss. Xenografts have several advantages and disadvantages over human-based dental bone graft options like autografts and allografts. Because the bone is from a different species, xenografts require more time to heal, and the bone formation is typically weaker than when using human bone. However, xenograft bone is able to be harvested in large amounts — there is no question whether there will be enough bone for a bone graft when using a xenograft, as might be the case with allografts and autografts. There is one more dental bone graft option beyond autografts, allografts, and xenografts that may allow you to have enough bone for dental implants, and that is going the synthetic route. Advancements in technology have changed the means that patients can receive bone graft dental implants. A number of synthetic materials have been developed that allow patients to receive dental implants using man-made bone graft matrices. These materials perform the same scaffolding function as the other bone grafts. Oftentimes, using synthetic bone is not ideal in comparison to the other bone graft types. This is because synthetic bone is man-made, and it lacks the genetic stimulation that autografts and allografts have that allows cells to form and regenerate bone. Similar to xenografts, synthetic bone grafts have weaker structures compared to the other natural types. However, with synthetic bone grafts, there is no risk of disease transmission from natural bone sources. The common types of dental bone grafts that we have listed above may not be for everyone. However, other options are available for patients seeking dental implants. A sinus lift, also called sinus augmentation, is one such option. A sinus lift procedure involves increasing the height of the upper jaw, “lifting” it so that there is enough room for a bone graft to be placed in the areas containing the molars and premolars. Similar to autografts, the bone used for this process can be taken from autogenous, allogeneic, or xenograft sources. Although dental implants using bone grafts, sinus lifts, and other procedures have been the norm for decades, we are sure to see new advancements impact the way these processes are carried out. With new implant technologies and materials being developed all of the time, it is an exciting time for the dental industry, and a fortunate time for patients. 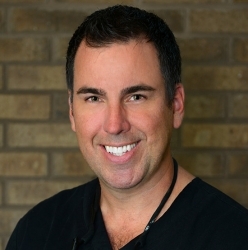 The simple answer: Visit Dr. Hank Michael at Sarasota Dentistry! It is not easy to tell if you have enough bone for a dental implant just at a glance. X-rays can reveal the severity of bone loss that has occurred after your tooth was extracted, as well as if a bone graft is necessary. Additionally, a personal consultation can explore the options available to you to determine which bone graft is right for your needs. 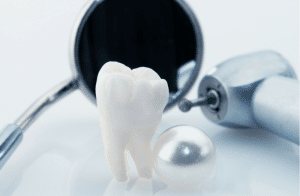 You’ll notice that you have multiple procedures to choose from in order to fix a missing tooth. Titanium dental implants are lightweight, strong, and reliable, and have been a popular choice for decades by dentists all over the world. Titanium dental implants have a 95% success rate. Another option are Zirconia dental implants, which are a metal-free, crystal material. Although relatively new to the scene, they are proving an increasingly popular option for patients wishing to keep metal out of their mouths. Everyone’s mouth is different, as are the reasons for needing dental implants. If gum disease or injury has created a missing tooth in your smile, dental implants are a highly successful solution to repairing what has been lost. We are proud to offer a range of options to allow patients to find a solution that meets their unique needs while providing them with a beautiful smile that lasts for decades. Call today at (941) 929-7645 to set up an appointment with Sarasota Dentistry. Get the dental implant process started and restore your smile to its bright, normal state!